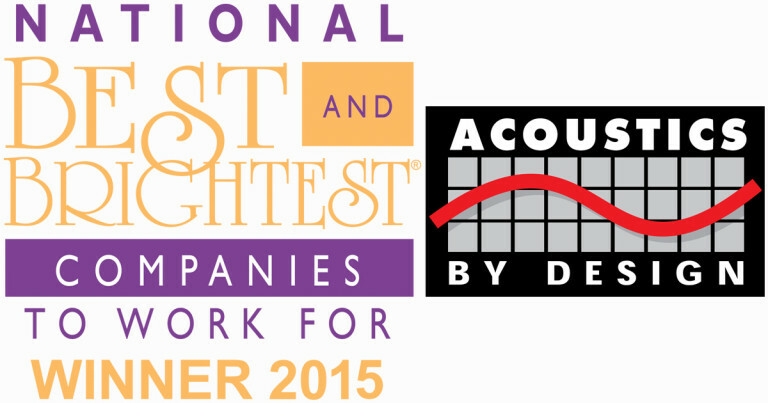 As 2015 comes to a close, Acoustics By Design is delighted to be among this year’s National Best and Brightest Companies To Work For. Acoustics By Design has won this prestigious award 5 years in a row, beginning in 2011 with the very first time the award was presented. The Best and Brightest Companies to Work For® competition identifies and honors organizations that display a commitment to excellence in their human resource practices and employee enrichment. Organizations are assessed based on categories such as communication, work-life balance, employee education, diversity, recognition, retention and more. In other words, we’re evaluated based the way we treat our staff. In 2015 ABD also won the West Michigan’s 2015 101 Best and Brightest Companies to Work For, making it 9 years in a row. This year, we were selected as the Elite Winner, scoring in the 97th percentile of all national firms, in the category of Recruitment, Selection and Orientation. 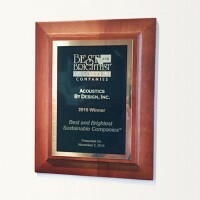 Acoustics By Design has also won the National Best and Brightest Sustainable Companies award, along with the Michigan 101 Best and Brightest Sustainable Companies 3 years in a row, every year the award has been presented. The 101 Best and Brightest Sustainable Companies™ celebrates organizations that inspire and produce green technology to impact the industry and environment, making their businesses more sustainable, the lives of their employees better and the community locally and globally as a whole. In addition to numerous LEED projects, Acoustics By Design is a leader in sustainable design, with 5 LEED Accredited Professionals on staff. Each person at ABD participates in green initiatives including recycling, composting, and energy efficiency to improve our corporate carbon footprint, and environmental quality of life. 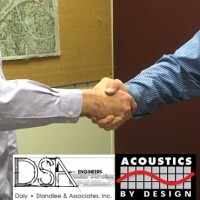 When it’s time to choose an independent acoustical consultant and AVL design firm, we know there’s more to the decision than price, and experience. Sometimes, what makes a difference is the way a company treats their employees; knowing that if we take good care of our staff, they will take good care of our clients. Likewise, making a difference in the way we treat the Earth, and work to keep our practices sustainable, reflects our values. We look forward to helping you make a difference in your projects for years to come.